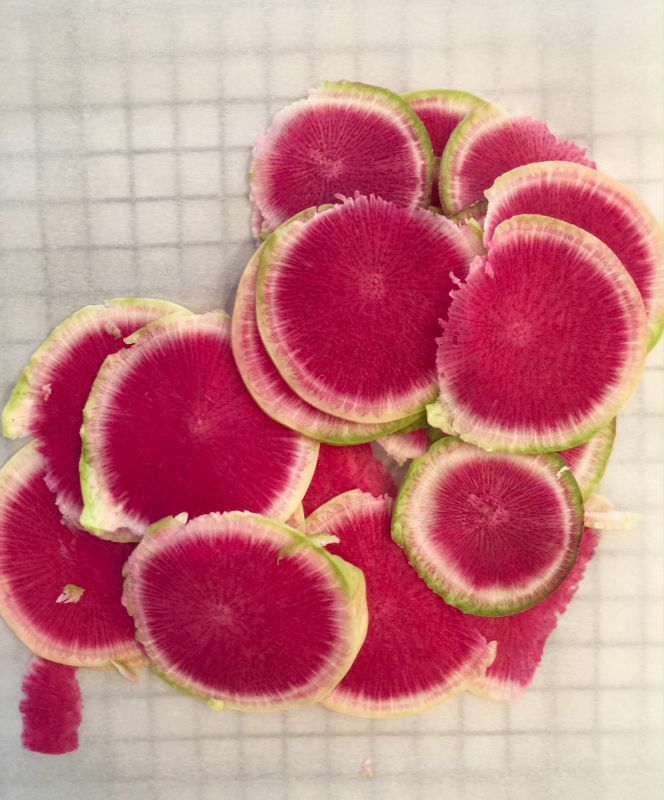 I was first introduced to the watermelon radish at an event at Melissa’s Produce a couple of months ago. They are not very attractive from the outside, they have a soft green colored skin and a very hard outside. But once you cut into it, it shines with radiant circles of red circles. It’s just a fantastic vegetable you need to add to your collection. And there are so many other uses for them fresh or pickled. And radishes have many health benefits. 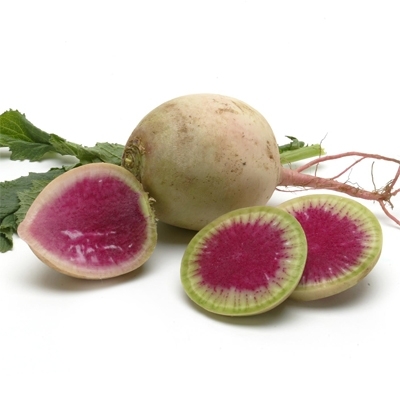 Radishes are a great source of anthocyanins, a type of flavonoids, which not only give color to radishes but also provide numerous health benefits. They have also displayed anti-cancer and anti-inflammatory properties. Skew them with a toothpick and add them to you ceese tray. Add them thinly sliced as a chip to your dips. Make a taco from them , using a madoline to slice them very thin. 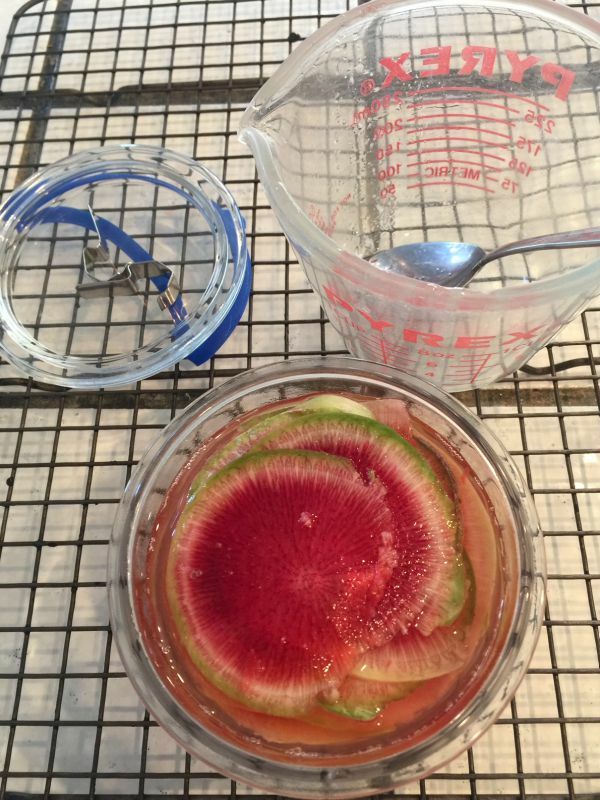 Thinly slice for best results in a quick pickle. I used a mandoline. Place in a jar or glass container. 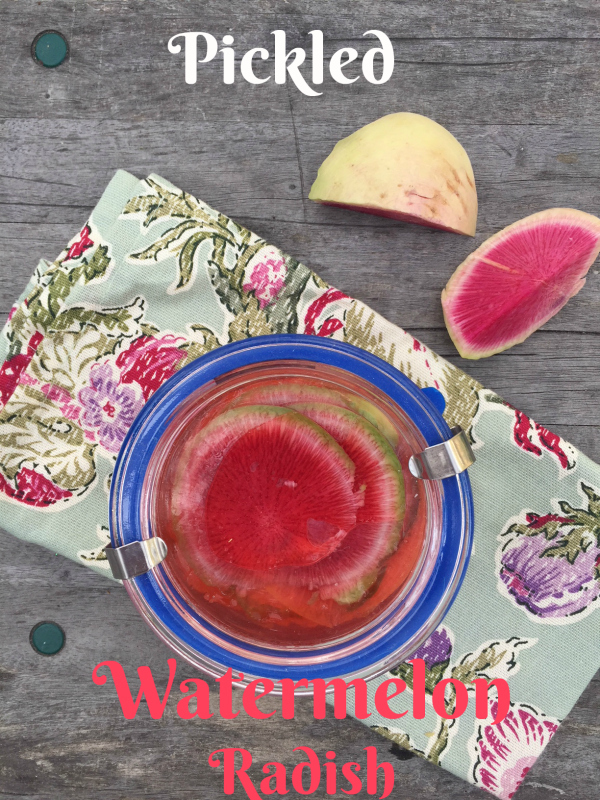 Make the pickling mixture and add it to your jar, filling the jar to the top. When finished just place the lid on and refrigerate. Let it stay in the refrigerator overnight. Can be kept in your refrigerator for weeks. 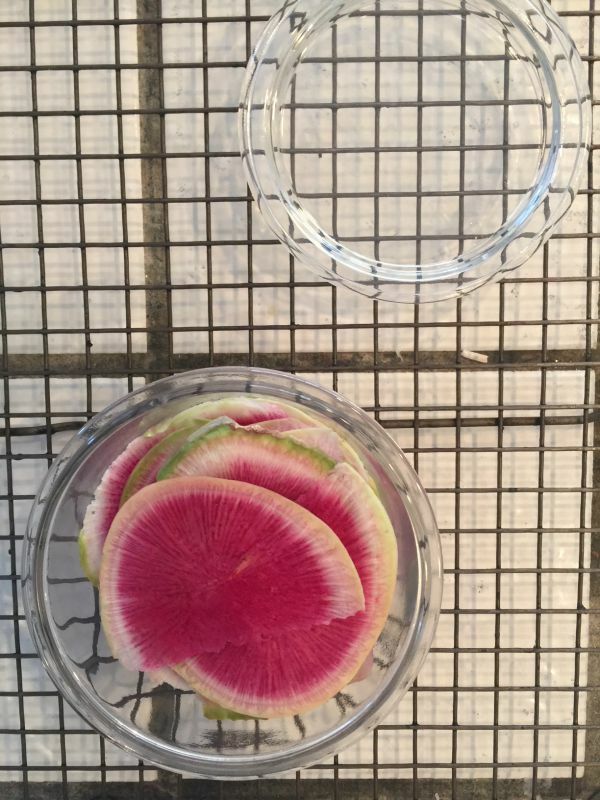 Here's a quick pickling mixture to add a little zing to your vegetables. Add them to your salads, dips, cheese tray. Or eat them straight up! 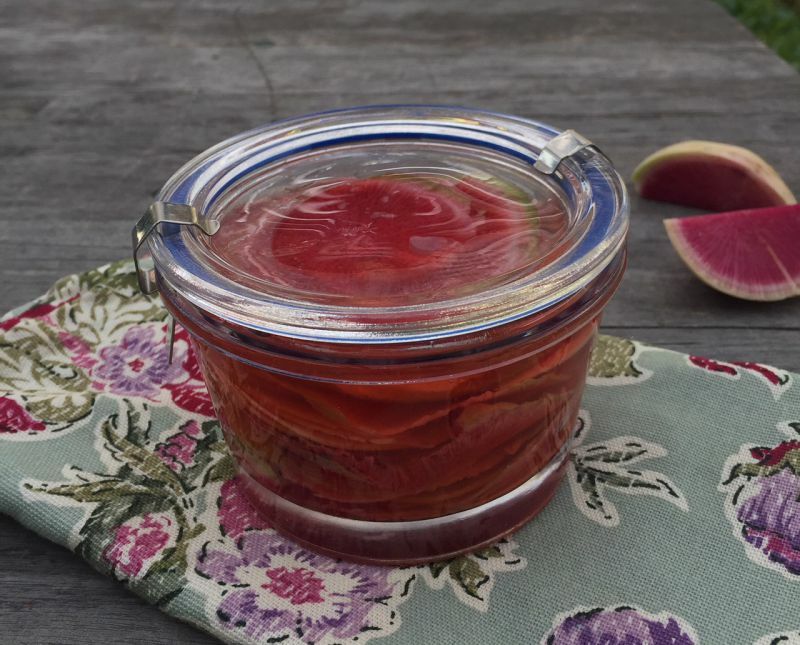 Thinly slice your radishes and place them in a jar or container. Combine the ingredients above and pour into the jar. You can add any spices or herbs that you wish to the jar at this time.